At a high level, it may sound like Microsoft’s $7.17 billion deal to buy Nokia’s Devices and Services business is similar to Google’s $12.5 billion acquisition of Motorola in 2011. As such, Microsoft(s msft) will still be licensing its software to hardware partners, just as Google(s goog) does, right? Not so fast. Although Microsoft still hopes to do so, it’s not going to happen. First, there’s a key difference in the structure of the two seemingly similar deals. When Google bought Motorola, it pledged to keep the company as a separate subsidiary. 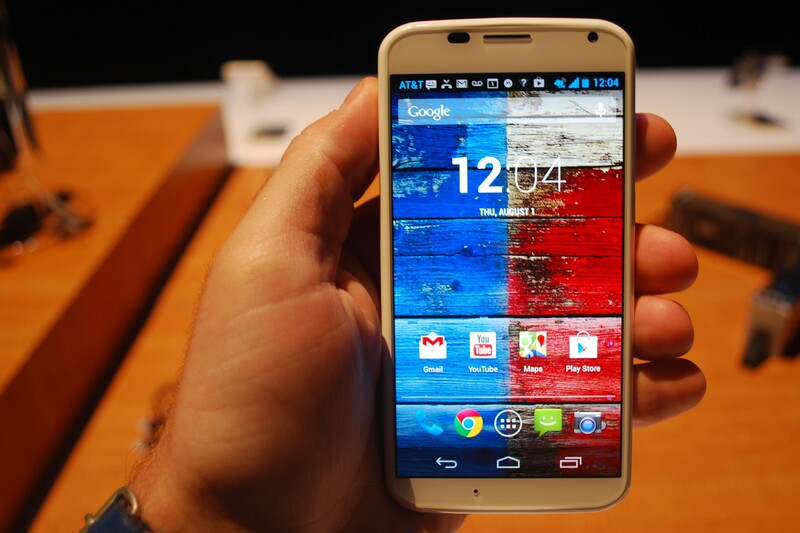 And, to put hardware partners at ease, the company said it would put a “firewall” between Google and Motorola. Meaning: Motorola would receive the same Android code and support as all Samsung, HTC, LG and others. The company has generally made good on that promise. Case in point: When the Moto X arrived to market last month, it had Android 4.2.2 installed. Google released Android 4.3 to all partners at the same time; there was no special treatment for Motorola, which launched the first phones with Google design input. With its deal, Microsoft is doing the complete opposite. It’s absorbing Nokia’s(s nok) phone business — not just Windows Phone, but Asha too — and bringing over Nokia executives at the highest level, all the way up to Stephen Elop. Phone manufacturing and 32,000 employees come with the deal as well. They’ll all be Microsoft employees and Nokia won’t be a separate subsidiary of the company. Cheer up hardware makers, Microsoft still loves you! The difference in the approach is monumental to hardware partners. Whereas Google went out of its way to convince its partners they have nothing to fear from the Motorola deal, Microsoft has done no such thing unless you count this excerpt of a blog post today from Terry Myerson EVP, Operating Systems, Microsoft. “As the engineering leader for the Windows Phone efforts, I was there at the birth of Windows Phone, and a key part of our original partnership with Nokia. I know firsthand how critical it was for me and the team to be a valuable partner to Nokia, in addition to building out a great ecosystem of partners, hardware and software alike. You could have at least named the partners, Terry! Let’s be honest though: This news is just the final nail in the coffin for hardware makers to license Windows Phone, and Windows RT, for that matter. Outside of Nokia’s Lumia brand, most Windows Phones from partners have been afterthoughts: Hardware originally designed for Android and later made to run Microsoft’s operating system. The designs have been largely uninspiring because, for these companies, Android is priority one: Windows Phone devices were sloppy seconds. So Samsung and HTC, both of which have made some recent Windows Phone, may be done. LG was never truly committed to the platform and few others ever bothered in the first place. Windows RT is the same but for different reasons. The platform simply hasn’t caught on and traditional hardware partners outed devices late last year but have largely ceased support. Samsung, Asus, Lenovo and others haven’t seen the demand they hoped. Samsung even decided to kill its Windows RT product in some countries early on. At this point, Dell(s dell) and Acer may still be in the game, at least for a little while a longer. What happens to Surface RT? Oh and then there’s Microsoft with its own Surface RT. I had thought the company would be working on a second generation of the device, possibly in time for this holiday season, but now I’m not so sure. Why? The company took a $900 million inventory hit on the first generation for starters. And then there was a leaked Windows RT tablet that Nokia is working on, complete with the type of specs that could help turn the device into a winner. Could it be Surface 2? Perhaps not in name, but in spirit. Regardless, the ultimate point here is that Microsoft is doing exactly what it said when the Ballmer retirement was announced: It’s becoming a devices and services company. And because of that, the days of licensing Microsoft software — at least in the case of Windows Phone and Windows RT — are coming to a close. While I agree this is likely the case for the mainstream format for phones and tablets, there’s one remote possibility for Microsoft (and same holds true for Blackberry), and that relates to the “Internet of Things” and M2M. Home automation controllers, in-vehicle telematics devices, sensor gateways for industrial applications, and so on are potential targets. However, the competition is embedded Linux, so it may be impossible for Microsoft and BB to get around the pricing/economics of competing with “free” in that use case. That said, edge devices benefit from having a “real” operating system, and there still may be some applications where Windows derivatives bring some value or that a specific segment of the developer community, who is used to the .NET world, would prefer using the tooling they’re familiar with the develop on-device apps. And seriously, you _actually_ think any of this matters? Let’s take your dire scenario in to view. No one licenses RT nor WP. Yawn. Who cares??? It’s not as if the current crop of partners (except Nokia) have sold any significant numbers of WP phones or RT tablets. I disagree, OEMs will continue to licensing it, there’s money to be made in WP ecosystem, and it doesn’t cost a lot to do it, since it’s the same hardware. Yes, future Nokia phones might have the benefit of a close internal development, but they don’t have the economies of scale nor the flexibility that some OEMs have. For Samsung for example, they rather have more sales and keep Nokia in check , then leaving Nokia alone in that market. What a messed up article. comparing the software policy of Google to the HR hiring policy of Microsoft. Where does that makes sense? time will tell but contrasting Google+Motorola to Microsoft+Nokia is only mildly interesting. Given that the smartphone market is operating effectively as a duopoly at this point, Microsoft’s strategy of converting handset and tablet manufacturers is doomed. Microsoft had a choice, be like Apple or be like Google and clearly they have selected the former, which is incredibly ironic considering that the agnostic approach to hardware manufacturers pretty much defines Microsoft’s entire history. There are 2 things I take away from this, which is that hardware and software layering is no longer a viable strategic option for consumer focused companies (even enterprise at this point, but that segment always lags consumer). Secondly, Microsoft is now #3 behind Apple and Google in terms of brand platform for the consumer… they have effectively conceded that they will never overcome Google and Apple by using the approach they have taken for the last decade. Let’s get real: WP partners have been a non-factor. By the same logic, for the same reasons, none of the hardware vendors would be interested if Apple decided to license iOS. I disagree with that thinking. Windows R/T is a different issue. R/T is finished because it doesn’t support a healthy enough app ecosystem. I think the counterpoint to this — and the point Kevin seems to have missed — is that Microsoft no longer cares (much) if they license WindowsPhone. That’s the bottom line of all their ‘hardware & services’ happy talk: they’re going to focus on retailing their own stuff. Will MS take your licensing fees? If you’re dumb enough, sure. Will they promise to help develop your products? Yep. And will they continue to sandbag such ‘trusted partners’, appropriating their best product ideas (& best employees) at every opportunity? You betcha. Ok, the counterpoint to that is this â€“ Microsoft does not have the same position of strength in the mobile world that it does in the PC world. There is at least one equal (some would say superior) alternative to Windows Phone available to the ODMs, and because of this, the ODMs have taken too much of a ‘wait and see’ attitude with Windows Phone. Microsoft’s best strategy to accelerate Windows Phone into the market is to use the Nokia acquisition to to aggressively get into the market and aggressively push adoption in the Enterprise and Consumer markets. The more successful they are, the more app developer attention they’ll get… and the more interest they’ll win back from the 3rd party ODMs. Everybody wants to get on board with a winner. The two-way dependency that has formed the relationship between Microsoft and the ODMs has been changed, so the relationship moving forward will be based on the merit of the Windows Phone solution, not on mutual dependency. This is a good thing. I think the phone companies (Samsung, LG, Sony) will fork the Android code after Google’s 5 year open source commitment is over. That’s all they need to do have viable hedge bet against Android. That or they will make google commit to another few years of open source commitment. As for WP…. the smartphone market is matured and saturated, there is no space for a 3rd seat. I see it the same way as you do tinotino, in the next 5 years only three major phone company will still be with us, Apple, Motorola and Nokia, Samsung will fade away back to their bada os and take up BB slack in third world country, As for forking of android OS it will be much different from how it is now, Just like IOS you won’t be able to fork android, Project loon technology and X 8 technology and new features that moto/google have coming will bake in android, As for project loon that is google answer to the telco company you do not need a data plan to get connected just a moto phone and tablet…. ‘How it is now’? Sorry, but Android is already nigh-on unforkable, at least as a fully viable mobile OS that can run the most popular apps…pretty much all of which are, of course, Google’s Proprietary products. You have a point. But I wonder if MS’ exclusive deal with Nokia engendered the same reaction? 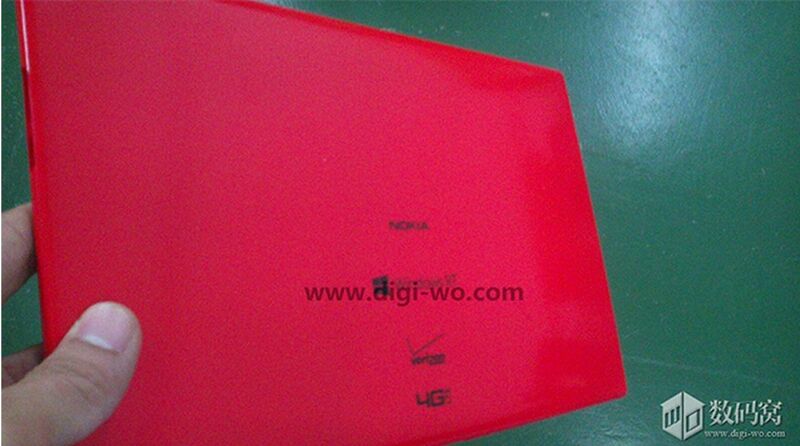 I mean, that deal was pretty much a buyout bc Nokia wasn’t using any other platform. Also, I don’t believe the firewall nonsense that Google spoke of. It just doesn’t make sense. One doesn’t spend $12 billion to then treat that company like a stranger. ^ incorrect. Android is not free. So, you believe WindowsPhone OEMs have no non-Microsoft licensing commitments? 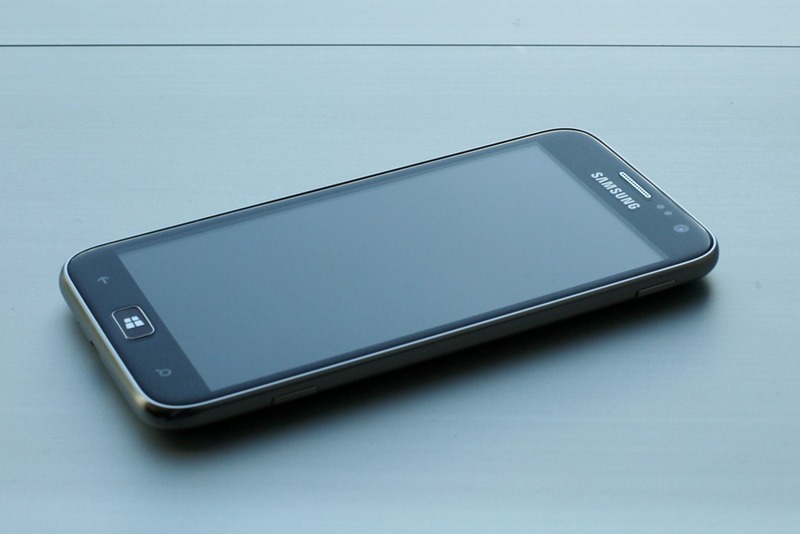 My Samsung ATIV S with Windows Phone 8 will vanish in a big POOFFFF as soon as they sign the contract. Wasn’t this a similar (unfounded) fear when Google bought Motorola? I don’t see any difference in the relationship between Google and Android manufacturers. Why would this be any different? Lost the rest of my statement… Microsoft committed to working with partners the same way that they work with internal staff… I.e. the Google/Motorola model. Your comment, John Gibson, is a great example of what most people do here – read the article title and the first paragraph, then then dart to the bottom and enter the comment. If you read the whole article you would see the explanation of why this is different than google-motorola. Ironically this difference is the entire point of the article! John, I thought I explained exactly that in the post. There is a big difference between the relationships. There is not too much difference, its just the semantics of it. Agree. If Microsoft wants other makers to keep using windows they will need to treat them fairly like Google does regardless of the business model. I doubt that this fact is lost on Microsoft. So what if there are no non-Nokia Microsoft phones? There are no non-Apple iPhones.. The tablet market is probably more interesting for Microsoft, given their PC lineage and relatively lesser (“A” brand) competition from Android. No argument there. I’m looking at this from the perspective of the hardware partners; it’s over for them to create Windows Phone or Windows RT devices. Will this work out for Microsoft the way it has for Apple? That I’m not so sure of. Why exactly do you think it’s a bad deal for OEMs though? Nokia was already at 80% marketshare in Windows Phone so it’s not like it will now be catered to win the platform because it already has. Instead, some of the reason why Nokia won (better mapping, better exclusive apps, better developer relations, etc) will now be available to the greater platform. One thing you didn’t mention was Google’s Nexus. When it first came out. When Nexus One came out, it was designed to bridge the gap that there was between Android and iPhone in the design and user experience field, kind of a guide for OEMs to build better phones. If Microsoft can use Nokia to increase their overall marketshare, it only helps them to make a more attractive platform for OEMs to potentially want to join. I think the reasoning behind this decision was that they didn’t realistically see the platform growing at the hand of its partners alone.